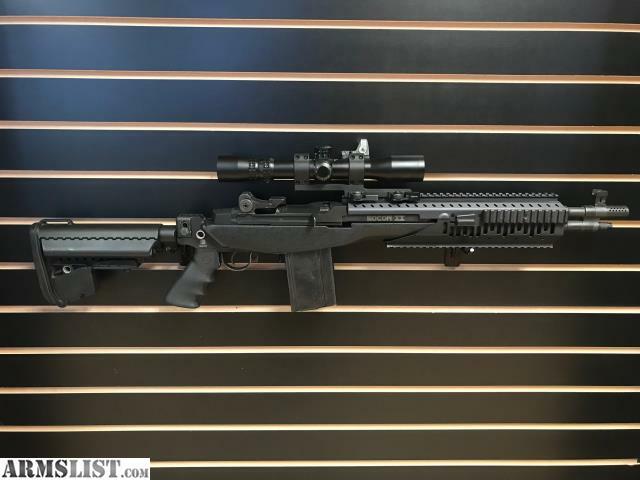 Discussion in 'WTS/WTT Rifles' started by Usmcstlzr, Apr 6, 2019. Selling Terms : FTF or FFL, Fee negotiable. Contact Information: PM me here. Up for sale is a Springfield M1A Socom II. Overall condition is excellent. This rifle has a VLTOR chassis, which is a $500 kit if you can find it, and the option of a Nightforce NXS 2.5-10x32/Trijicon RMR/Larue SPR Mount Combo sold separately. I'll include one pre-ban 20-round magazine, and I can include as many additional pre-ban magazines as you would like to purchase. Statement of Legal compliance: I will comply with all Federal and State Laws. If the firearm is to be shipped, you must provide me with a signed copy of your dealer's FFL (or your 03FFL if this is a Curio and Relic). For private party face-to-face transactions (only permitted by Fed law when both buyer and seller live in same state), I will meet all applicable state and federal laws. When ammunition, magazines or other regulated items are sold/bought or traded as part of this transaction, I agree to follow all applicable local, state and federal laws and regulations pertaining to these items.